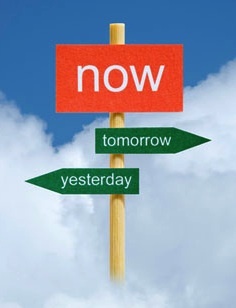 The Present Moment cannot be thought. To think it...is to not be Aware of it. To become Aware of it, begin to pay attention to what you are actually doing, not what you think you should be doing. If you should be doing it, you would be, so don't worry about what you should be doing and pay attention to what you are.